Could it be sheer coincidence that most (if not all) recent books on the Colle recommend transposing into the Slav ? is transposing into a Slav type position with 5.c4 and possibly a later 6.b3 7.Bb2 considered white's 'best' option, or staying in Colle waters and aiming for 5.Bd3 Qc7 6.00 e5 7.e4 dxe4 8.Ne4 exd4 9.Re1, (transposing to Hoi-Gronn, on move 6; later 1-0) best? In the Hoi game 7...Bd6 might equalize, indicating the first option of transposing to a Slav with c4 is white's best practical chance. 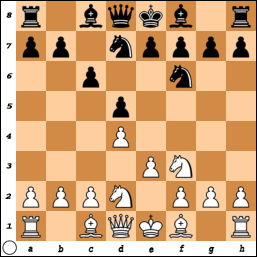 5.Bd3, castling, then a quick e4, opens up the center before black is well developed.